The Sapphire Foundation’s ‘Star Achievers’ scholarship program is available to students on the Far South Coast of N.S.W. (participating schools in the Bega Valley & Eurobodalla Shires). It identifies secondary students who have already shown an outstanding level of ability and potential (specifically in the areas of science and mathematics) and recognises and encourages them through the award of science-related scholarships. The strategy is to identify students with ability early in their secondary years and spur their interest in science and maths through Years 8 and 9. In senior school, Years 10 and 11, the scholarships encourage and support students who have already demonstrated academic excellence and achievement in these areas to continue their studies at the highest level. The scholarships are ‘activity-based’ and individually tailored for the student, concentrating on extracurricular programs and student research projects that provide both enrichment and challenge. 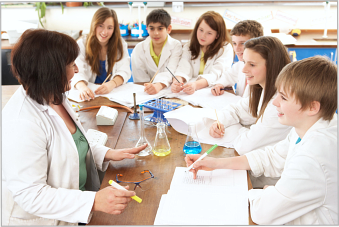 Aschbacher P. R., Ing M.T., Sherry M.(2013) Boosting student interest in science. Phi Delta Kappan 94, 47. Boon, H.J. (2012) Regional Queensland Parents' Views of Science Education: Some Unexpected Perceptions. Australian Educational Researcher 39, 17-43. Desy, E.A., S.A. Peterson, and V. Brockman (2011) Gender Differences in Science-Related Attitudes and Interests Among Middle School and High School Students. Science Educator 20, 23-30. Eastwell, P. and L. Rennie (2002) Using Enrichment and Extracurricular Activities to Influence Secondary Students’ Interest and Participation in Science. The Science Education Review 1, 149-165. Hackling, M.W., D. Goodrum, and L.J. Rennie (2001) THE STATE OF SCIENCE in Australian Secondary Schools. Australian Science Teachers Journal 47, 6-17. Kuppan, L., S.K. Munirah, S.K. Foong, and A.S. Yeung (2010) On the Attitude of Secondary 1 Students towards Science. AIP Conference Proceedings 1263, 118-121. doi: 10.1063/1.3479846. Schneider, B.J.C. (2012) Boosting STEM interest in high school. Phi Delta Kappan 94, 62. Venville, G. (2008) Is the crisis in science education continuing? Current senior secondary science enrolment and tertiary entrance trends in Western Australia. Teaching Science: The Journal of the Australian Science Teachers Association 54, 41-46. The scholarship develops the student’s interest in science and maths by immersing them in a wide range of programs. This includes a mix of core & optional activities such as 3-day hands-on vacation programs in Sydney & Wollongong, individual projects, participation in events and exhibitions, and local group activities with other scholarship students. The exact program is individually tailored with the student at the start of the scholarship. The Year 10 – 11 senior scholarship is similar in concept to Years 8 – 9, but with more focus on activities that provide challenge and which further develop the student’s particular areas of interest. It includes a vacation program (Sydney) and an in-depth project in both Year 10 and 11, along with a professional mentor (individual or business) in their area of interest. Only students who have been part of the Year 8-9 program are eligible. The value of each scholarship is $2,000 a year for two years. This amount is used to cover the cost of planned activities including materials, competitions, entry and attendance fees, travel and accommodation.